Is getting healthy on your mind? Are you battling weight loss or simply want to get fit? Then Pooja Bhargava’s FUN is the place to go. A nutritionist and fitness coach, Pooja does wonders with her combinations of meal plans to suit each person’s needs, because her aim is to get people healthy, and weight loss always follows. The core mantra of Pooja Bhargava is to focus on the wholesome living condition of the person and then recommend the diet program. She believes in equal importance to calories ‘in’ and calories ‘out’. She takes into consideration a person’s lifestyle, their current health condition, their level of physical activity, their goal which leads to a strong body and sound mind. Pooja says that it’s not just about losing weight – everyone can do that – but it’s more about how good a person feels about their body at the end of the day without having to compromise on their lifestyle. Her solutions are based on one of the most important factors in a person’s life, i.e. stress. No matter how much you try to regulate food intake, when you are stressed, your body releases a cortisol hormone, which can lead to insulin spikes resulting in increased food intake. In such a case, food becomes a comfort factor. When an individual meets Pooja, other than assessing his weight, height, circumference measurements, there is a lot of importance given to his lifestyle, his culture, his idea of eating, his working hours, his commitment to workout, the kind of person he is, his goal, and how he thinks of life as a whole. She has succeeded in helping out women with breast cancer, PCOS, thyroid, knee pain, depression and much more. It helps that Pooja is a warm and friendly person by nature which gets her to connect with her patients really well. 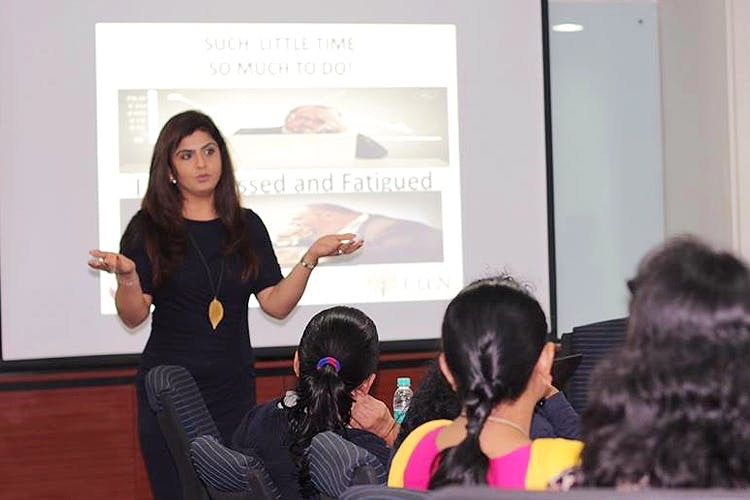 She has previously also done a lot of corporate workshops, women’s health workshops and kids nutrition. She charges INR 3,500 for the first appointment, but has attractive packages which you can join. For more information, check out her Facebook page here, write to her on info@fun4fitness.com, or call her on +91 96199 40698.